Meniscus tears are very common. Surgery to remove the torn part of the meniscus is also very common. Unfortunately, many people who have torn their meniscus, or who have the torn piece removed will go on to develop osteoarthritis. Until recently, a person with persistent pain following meniscus surgery had very few options. They could undergo a meniscus transplant, or simply try medications or injections to treat the pain. In January 2014 a preliminary, but exciting study revealed that a single injection of stem cells may help certain patients regrow a portion of the meniscus which was removed at the time of surgery. This study also showed that pain relief was higher in the stem cell-treated meniscus tear group. Each knee contains two menisci. The meniscus functions as a shock absorber. It also helps distribute your weight across the knee joint to minimize the stress on the bones and articular cartilage. A torn meniscus is not capable of functioning normally. This results in abnormal stresses around the knee which can lead to arthritis, further loss of cartilage and pain. There was evidence of meniscus regeneration and improvement in knee pain following treatment with allogeneic human mesenchymal stem cells. These results support the study of human mesenchymal stem cells for the apparent knee-tissue regeneration and protective effects. 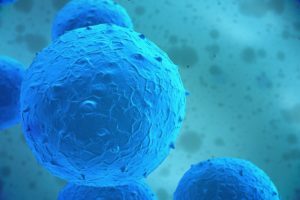 Stem cells are unique cells within our body. They are “immature” which means that they haven’t grown into a skin cell, a cartilage cell, or a heart cell yet. 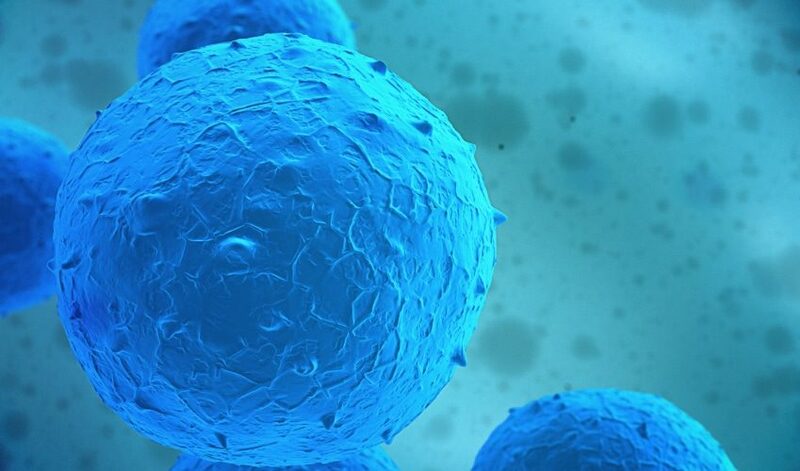 Stem cells have the ability to grow into almost any type of cell within our body. Each tissue in our body has unique chemical compounds. Those chemicals can cause stem cells to start the process of maturing and becoming a fully developed cell. Theoretically.. if a stem cell is placed in the knee, the chemicals present in the knee will lead the stem cells to mature into cartilage cells. Can Stem Cells Treat A Meniscus Tear? The study quoted above was the first (to my knowledge) to show that stem cells, injected into the knee can regrow a portion of the meniscus which was removed at the time of surgery. The study showed that some patients regrew up to 20% of the torn part of the meniscus. More importantly, this study showed that patients who received the stem cells after their surgery felt better and had better pain scores. This is the first in what will likely be a number of studies to determine whether or not stem cells possess the ability to completely regrow a meniscus after a portion of it is removed. Further studies will be needed to see if two or more treatments can improve the amount of the meniscus that grew back. Further study is also needed to see if these results stand the test of time. Will the new meniscus tissue last? This is a very exciting time. Can stem cells treat meniscus tears? Should you receive stem cells after your meniscus surgery? These are very important questions and it is something you need to discuss with your doctor. Please keep in mind that this is still considered experimental. I was highly active before my double knee meniscus tear. Having to stop my life style at 24 through me into a depression. How can I get my name on a list for experimental stemcell treatments for meniscal repairs? I’ve researched various options for repair. I don’t want a patch work worring about if it’ll give out midway through my activities and I don’t want to cut leaving me in a walker at age 40. Any info / point in any direction regarding stemcell or any other experimental treatment to repair (get blood from red zone into white zone) the tear please share. any update on your condition? what did you end up doing? There’s evidence that meniscus tears can be partially regenerated by using prp+stem cells intra-articular injections. If I were you I would soon find a MD who uses this kind of injections. There’s also evidence that PRP alone can stop pain and even heal a torn meniscus. Tru.. but it only regenerated a very small amount of tissue, and only then in a small number of the test subjects. We need a lot more research in this area. The PRP research is all over the place. With the majority of articles showing that it will NOT heal a meniscus tear. Why is it necessary for a full knee replacement when the meniscus has been repaired once and 4 years later another tear on the same knee. Replacing a knee seems a little much for a torn meniscus,is there not something that can be made to replace or repair the meniscus. Probably because there was severe arthritis present on the MRI or Xray. Once severe arthritis sets in an arthroscopy is not likely to work to alleviate your pain. Did you ask your surgeon why he/she suggested a knee replacement? I have a horizontal tear of the body and posterior horn of the medial meniscus. 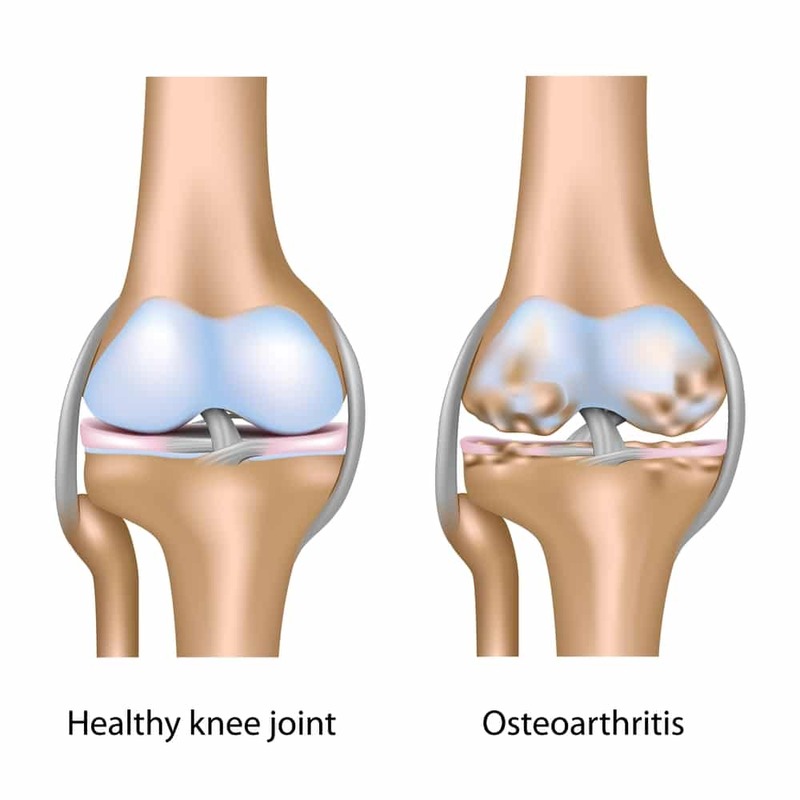 I am going to have to have a section of the damaged meniscus cut away.I am 35 and very active and I am worried about the strong possibility of early onset arthritis ten years down the line. Regarding the potential of stem cell treatment to treat meniscus tears in the white zone. How long before regenerative medicine can do this? When ( in years) will it be possible for medical science to grow you a brand new meniscus from your own stem cells and make it work? Recent studies, and my own experience have shown that many horizontal tears (in the white zone) can be successfully repaired (sutured or stitched together). Time to bring up the subject with your doctor. I am 63 years old and had knee pain and so called water on the knee during the past two month. I had to drain the fluids two times and take anti-inflammatory medications. My knee is getting better now, but the MRI report indicates my diagnosis as “Complex tear of the posterior horn and body of the left lateral meniscus”. I have visited two orthopedics surgeons. The 1st orthopaedics opinion on surgery is 50/50, but the 2nd one is recommending surgery by about 80% confidence. I wonder if stem cell therapy is a good treatment for my condition? 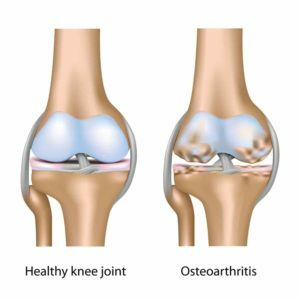 It’s hard to say if stem cells will work or not … If you are 63, and have osteoarthritis in addition to your tears then the American Academy of Orthopedic Surgeons and most all surgeons recommend physical therapy as the treatment of choice. Surgery in the setting of degenerative meniscus tears AND osteoarthritis is rarely needed. Hi Markel… the stem cells will not regrow your meniscus. We need a lot more studies on this area. Right now the options that will substitute or replace the meniscus include a meniscus transplant and maybe ?? a collagen meniscus scaffold which can be sewn into a meniscus defect. The right answer to this problem has not yet revealed itself. The goal should be to fix most all meniscus tears instead of removing them. I have 2 small meniscus tear on the lateral meniscus and one larger one on the medial meniscus . Can this be regrown or fixed using PRP ? No resection has been made so far as I had a knee reco which was done at the same time as my surgeon looked at the meniscus. I had a meniscus transplant done about 6 years ago and have pretty consistent soreness now. The last arthroscopy showed the doctor that my articulate cartilage was “pristine” yet the pain persists and doc’s can’t really pin point it. I have a lot of post op changes in the knee but apparently they are “normal” and shouldn’t necessarily cause pain. I was contemplating PRP or PRP/Stem Cell but not sure if it is the right move considering not sure what is actually causing the pain. Have you dealt with/seen any data on transplant patients getting PRP or Stem Cell treatment? I haven’t Bryan … Sorry. Thank you for responding to my question I posted on Nov. 14, 2014. I did x-ray which indicates I don’t have osteoarthritis. My knee was improving, but I had a trip and it looks that there is a set back now. I have pain and stiffness again. I just wanted to ask your opinion here. At my age, is the stem cell therapy a good option fir tear meniscus? What current treatment method will be more beneficial? I am a 72 yr. old active playing golf, swimming, and playing basketball. I just had arthroscopy for meniscus tear and the surgeon discovered arthritis. Do you believe PRP/stem cell therapy will help me recuperate? Thanks. Sorry Stan … without examining you and seeing your X-rays I can not answer that question. I am 16. My knees pop when they are bent, straight, or I squat for long periods of time and my hips, back and shoulders pop a lot. It is pretty painful. My mom has the same thing. I need to know if I should go in for a check up just in case this is something serious or not. Dr. Luks, like many of the others here, I am an active 52 year old. I frequently golf in the summer and up until my second knee surgery, was a hockey goaltender. I have had to stop playing hockey due to constant knee pain. I frequently miss golf due to the pain as well. I have had a good portion of my meniscus cut away as the surgeon said it was split…and he hadn’t seen this happen before. My second surgery they tried Micro-Fracture to help stimulate the blood flow in the area. Several years later and it is still painful. I am very interested in trying the stem cell research, going in knowing it will not regrow the meniscus. Do you know of any doctors in the Detroit area doing this research? I am willing to travel if this research will help others!!! Due to recent blood clot issues (antiphospholipid syndrome) I am avoiding knee replacement or even partial knee replacement due to risks. Looking for help as my quality of life is not what it was prior. Thank you. Sorry to hear about your issues John. Stem cell therapy may or may not help with your pain. It certainly will not regenerate your knee. People with hyper coagulability can have knee replacements if your doc and your hematologist work together. It is a tough decision though. I had my meniscus repaired in December 2014. It was a small longitudinal tear of the posterior horn of the medial meniscus.The pain has largely gone away and functionality restored. But after periods of prolonged physical activity and deep squatting I still have some pain upon full flection. 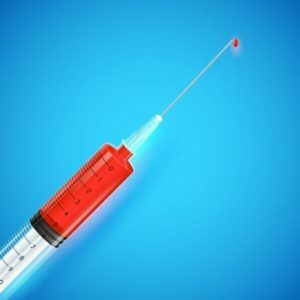 I am considering having a ‘fat derived adipose stem cell’ injection into my knee to encourage further healing.Have you had any experience of using this type of treatment? Do you think it is worthwhile in encouraging additional healing as I worry the sutures will eventually burst? It seems to make zero sense to me to cut out the meniscus shock absorber when medical science seems so close to a biological solution. J.H .. there is no high quality data to support it’s use for anything other than an anti-inflammatory at this time. Quality, useful Stem cell technologies are coming … but they’re not ready for prime time yet. Too much more research needed. Sure there are docs offering the procedure. But it has not been shown to be curative… only palliative. Just one more question:When you say useful stem cell therapies ‘are coming…. ‘ what kind of time frame in years are you talking? Will it be 5,10 or maybe even 20 years away before real working effective therapies are available? I have a dream to return to running some day if these therapies can heal my chronic meniscus tear. I am 71, started playing tennis after a 15 year layoff because of issues with my left knee which I had replaced 18 months ago. My MRI shows a tear in the meniscus of my right knee along with a bit of arthritis.. I have been doing physical therapy for 2 months with little or no reduction of pain or increase in stability. In your opinion would it be more practical to have surgery for the meniscus and then, maybe after 3 months, try the Stem Cell/PRP injections. I am 23 years old and facing the full removal of my inner meniscus. Main reason for that is a wrong diagnosis and consultation which made me wait for 6 months with my surgery. It has not happened yet, but will in around 1 and 1/2 weaks. Chances are high to have removed my full meniscus as it is completly torn of the side wall of my knee (not a native speaker sorry). Normal procedure would have been to sew my meniscus back there and leave it there, due to having my body disintegrate / retrench my meniscus though it probably won’t be possible to fix and sew it anymore then. Therefore I would soon or late face an athrose and a knee prothose in early years. Desperatedly I am searching for options. My question now is, is there any news? This article has been 2 years ago. And is it eventually possible to inject stem cells into the meniscus which is still in my knee and then with a better quality of it and a bit of regeneration to sew it back to my knee? In case you know about any other options please let me now, the operation would be in around 1 1/2 weeks as said. Time is running. Best option is to try a repair. we can always go back again if it fails. There are trials going on with regards to meniscus transplantation which remains an option if the repair fails. My husbands knees are basically bone on bone .. I have heard that stem cell is not capable of renters tin tissue . I see now in your article that it has in small quantity. Would you know if meniscus replacement or if there is a jelly that could be implanted that would possibly be covered in our insurance .. $5000 is a lot of money out of pocket.. He’s in pain and wants a quick fix I’m tryin to find different insurance coverd options !!!!! Help !!!!!!!! The research shows that he will likely be very disappointed with the results of those injections. If he is bone on bone, then he has non-functional meniscus cartilage, AND complete loss of articular cartilage. 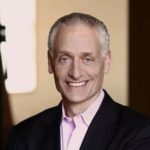 Living in Colorado, I asked a buddy of mine who is an Occupational Med Doc about the stem cell treatments being touted by Dr. Centeno and Dr. Schultz. He said that there had been no double blind study and that their results were, therefore, anecdotal and only confirmed by themselves. I also read that in their original stem cell treatments, they cultured patients’ stem cells for a number of days to grow more before injecting them back into their knees. That was when most of the great results were found. However, the FDA stopped them from continuing that process because it crossed over from a quick treatment into the “manufacturing” of a stem cell drug. I am 61 and have had repairs of both menisci also cleaning out arthritis. I still ski and play tennis pretty hard and notice that my knees are getting stiffer and swelling behind the knee is more common. Is there any chance that the FDA is looking into approving a cultured stem cell treatment and would it possibly help me? HI craig… you are correct. The literature to support the claim that stem cells regrow cartilage, etc doesn’t exist. I agree with your assumptions about the data from Regennex too. in time we will figure out how to get these cells to work. hold onto your money for now. I have a torn meniscus (Medial meniscus, horizontal tear, posterior horn) and two surgeons have recommended partial menisctectomy. With a loss of 25 – 40% of the meniscus. I’m 53, overweight but very active. I have a job that requires me to work 12 – 18 hours in a day, on my feet and walking. The MRI also showed the start of osteoarthritis. I really want to work another 8 years so a partial menisctectomy seems like it would be detrimental to my plan, putting me on a path to knee replacement. The tear I have, being horizontal, why wouldn’t they seek to repair instead of remove? I’ve been looking into other options such as stem cell and collagen implant and found mostly positive results. Wouldn’t it be better to repair and use stem cell therapy to help with healing? Many of us can try and repair horizontal tears… stem cells alone will not do it. The problem is that you do not know until you put the camera into the knee whether or not the meniscus is repairable. 2 years ago I snapped my left acl and had a reconstruction from patella tendon. No problems there.. Along with this I tore my medial meniscus, had it repaired then tore out the soutches and he did a partial removal. Lot’s of pain in the medial area since. Also lots of pain in the same place on my right knee. He says it is because I have slightly valgus legs and suggests a high tibial osteotomy with wedge.. I am not fond of this idea. I also have arthritis in both ankles when I broke them 8 years ago and created large osteochondral defects in each talus. I am still extremely active at 36 years of age I enjoy hill running, biking and boxing but on a daily basis use naproxen, tramadol and paracetamol.. I couldn’t do what I love without it as the pain is too much. What are your thoughts and any recommendations for the future. I have my fingers firmly crossed for some stem cell developments.. I assume you meant varus…. Valgus producing HTOs are an option in some people. But without seeing you, your studies and examining you I can’t even begin to discuss why you have pain and what the potential remedies might be. Bob… At your age, and with arthritis in addition to degenerative meniscus tears the research in this area is pretty clear. THere appears to be no benefit to surgery over physical therapy, injections, compression sleeves, etc.